“I can’t start kickboxing (or martial arts) until I get in shape.” WHAT!? You wouldn’t receive your college diploma without attending your first day of school, would you? Would your professor expect that you know all about a subject at the beginning of the semester? No. You’ve just started. You don’t need to be “fit” to start your “fit”ness journey! Like anything in life, you have to work at the things that matter and working out is no exception! You have to start somewhere. You may not start out being as fit as you’d like or look the way you wish, but with consistency, a good program and a killer support team, you can do it. It’s about the journey! And you are going to get there, so let’s have some fun along the way. Some big box gyms might be intimidating when you walk in and see everybody all ripped and toned, and it’s easy to forget that they too had to go on their own journey. 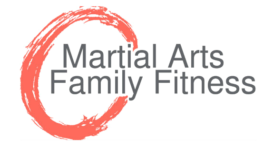 At Martial Arts Family Fitness you can come as you are. No judgment, pressure, or comparing. Everyone in class works at their own pace, at their own skill level, and their own time. There’s no drill sergeant “motivation” going on. You are encouraged and taught by instructors who have been on the same journey as you! In fact, all of our instructors started as students in that very same class. At MAFF, people of all ages and fitness levels are working out around you, from teens to folks in their seventies! Everyone is sweating, punching and working their hardest…It’s about progress, not perfection. Attitude is where it’s at! So don’t sweat it if you aren’t where you wanna be right now. Come and sweat with us instead, and watch yourself improve on your fitness journey. The only thing that you need to do before you get started is, decide.